“All of us are called [by God] to be free, all are called to be sons and daughters, and each, according to his or her own responsibilities, is called to combat modern forms of enslavement,” Pope Francis said in his first Mass of 2015 at St. Peter's Basilica in Vatican. His service marked World Day of Peace, a feast day of the Roman Catholic Church held January 1. This year’s message is entitled “No Longer Slaves, but Brothers and Sisters”. 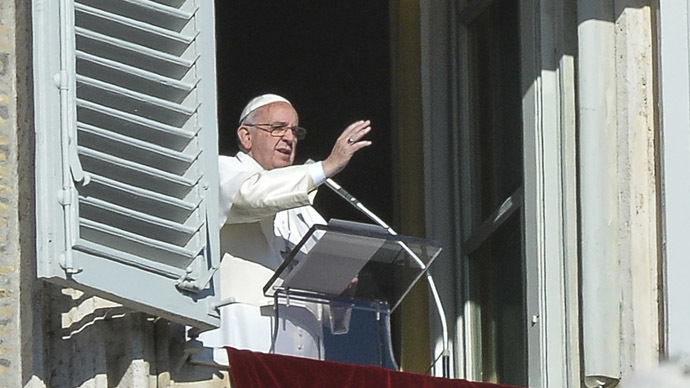 “Millions of people today – children, women and men of all ages – are deprived of freedom and are forced to live in conditions akin to slavery,” Francis said. “Many of these disappear, while others are sold several times over, tortured, mutilated or killed,” he said. According to the Global Slavery Index (GSI) 2014, an estimated 35.8 million men, women and children are trapped in modern slavery. May “there never again be wars, but always the desire and commitment to peace and fraternity among peoples,” said the 78-year-old Argentine pope. The pope has become known for his liberal approaches and stirring statements since assuming his post in March 2013.